Having a baby girl is so great, you get to dress her in fun girly outfits and things boys would not dare wear. When I discovered Agoo it was nice to see that both girls and boys get cute clothes to wear. Their clothing designs just look so comfy, plus they are made of materials that wear well and are great for active children. 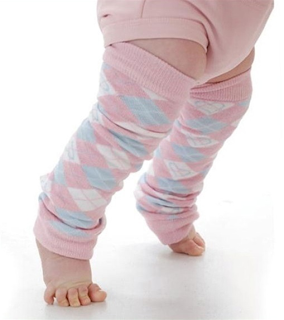 Agoo sent us four pairs of [girly and cute argyle] leg warmers to try on our baby girl. I was interested in them primarily because they are made with bamboo fibers and that is a material I have always wanted to try but never had a chance. Bamboo is rapidly renewable and hence a very Eco-friendly material. It also grows well without the use of pesticides. Since it is quite freezing right now here in New England, we've been wearing the Leg Huggers over tights. When it is warmer they work really great for us because we do practice elimination communication part-time. They look absolutely adorable with our cloth diapers and it seems like there is no need to wear anything else! Really easy on and off the potty and for quick diaper changes. She is one year old so diaper changes are not as frequent, but boy would these have been handy when she was three months old and we went through ten diapers a day! These are great to have in a diaper bag even in the warmer months when it gets chilly suddenly in the evening and you need something quick to cover the baby, either legs or arms. They don't take up much room. How about an adorable accessory for little ballerinas? Irresistibly cute! The print selection for the Leg Huggers is extensive and they are $10 a pair ($12 for the special edition prints). Plus these are not just for girls, there are quite a few boy friendly prints as well. One note of caution, bamboo material is not good for babies crawling on wool rugs. This didn't even cross my mind, but when our girl was crawling I noticed that the bamboo fabric was fraying a little. After some contemplation we figured out it was the bamboo rubbing on the wool fibers of the rugs. You should be fine with all other surfaces though. The selection does not stop there though, in addition to Leg Huggers Agoo carries a full line of tops, bottoms, bodysuits, and outerwear. Agoo is giving away a pair of Leg Warmers in the print of your choice! 1. Visit the Agoo website and tell us what print Leg Warmers you would pick if you win. 2. Sign up for the Agoo newsletter. 6. Tweet about this giveaway (once per day). 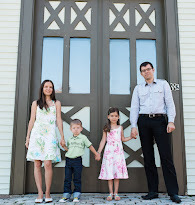 Include link to this post and tag @Ecoblogz and @kidsactivewear! Leave your Twitter name in the comment. You can also become a fan of Eco-Babyz on Facebook or Agoo just for fun. That will give you zero entries though because Facebook has new rules for promotions and giveaways. Contest ends at 11:59 p.m. EST on Tuesday Feb. 16. The winner will be selected using Random.org on Wednesday, Feb. 17, and notified by email (so please be sure I have a way to get in touch with you). Open to worldwide residents. Thank you! These are adorable! I'd choose Gigi the Giraffe, thanks. I follow you through google friend connect. I like the Leopard Pink ! I like the Ronnie Rhino. Thanks for the chance. I signed up for the Agoo newsletter. I like the Dixie Tiles print! Thanks for the giveaway! Signed up for the Agoo newsletter! Following Eco-Babyz through Google Friend Connect! Following @EcoBlogz on Twitter (@sazzyfrazzy)! Following @kidsactivewear on Twitter (@sazzyfrazzy)! Subscribed to Eco-Babyz via email! I love the Butterflies Burst print! I'm subscribed to the Agoo newsletter. I'm following your blog. Thanks! I'm following EcoBlogz on Twitter user lisalmg. I'm also following KidsActivewear on Twitter user lisalmg. I would get the Raining Tulips print. I would choose the Leopard Pink! I would love to get Agoo Special Edition LegHuggers. They are adorable. I would pick the Wheel Power lug huggers! I follow you on twitter (mom2anutball). I follow Agoo on twitter (mom2anutball). OMG these are lovely!!! I also am very happy to have not one but two girls and be able to dress them with almost everything! Girls are so much fun!!! My favourite are the popsicle parade! Gigi the Giraffe I'd chose.